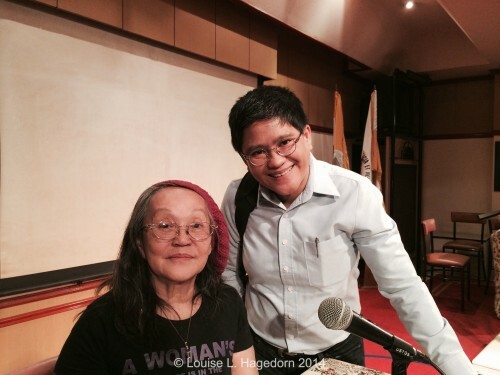 Reggie and I attended a talk by Ninotchka Rosca at UST’s Tanghalang Teresita Quirino this afternoon. 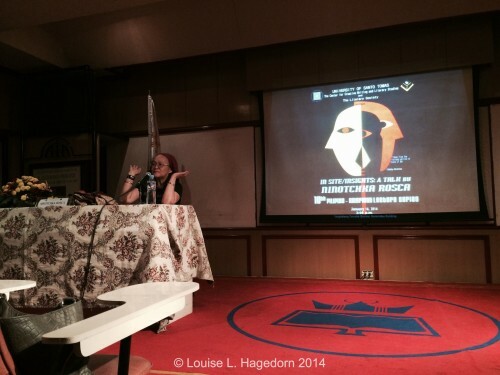 I really enjoyed listening to her. Writing for her, is about the “standing probability of time”. It begins with an image, a face, a scene. Characters are expressions of time. The standing possibilities for each person are endless in every instance in a day. 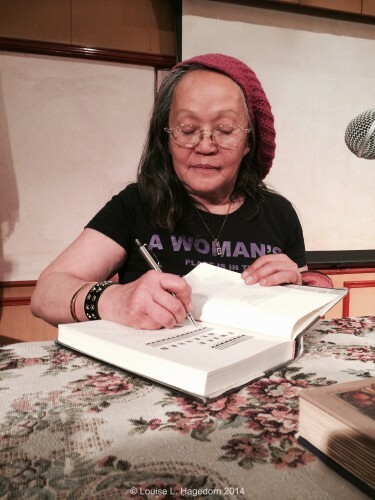 Signing books brought by Ninotchka Rosca’s fans. 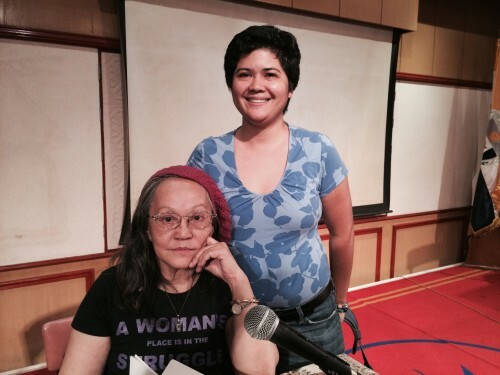 Mars with Ninotchka Rosca. Photo taken by Reggie. 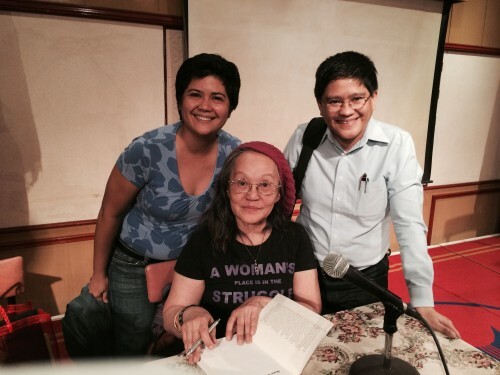 Mars and Reggie with Ninotchka Rosca. Photo taken by Reggie’s friend Carlos Luz.